Mobile Institute is a collaborative arts exploration engaging in the interplay of complex systems: social, environmental, economic and technical. 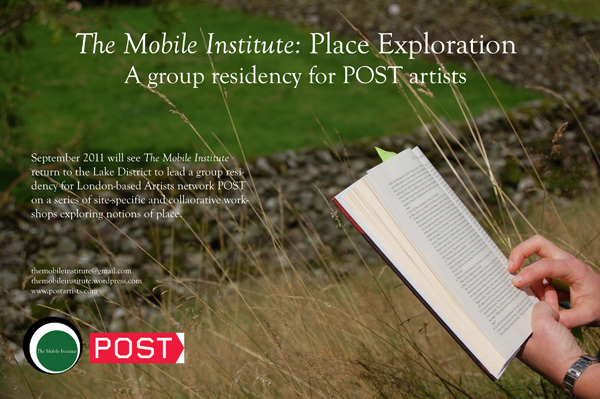 Co-ordinated by Eleanor Wynne Davis, Bram Thomas Arnold and Penny Skerrett Mobile Institute aims to run an annual residency. The first of these Place and Exploration took place in 2011 at the cyclinders Estate, The Lake District with artists from the POST network.